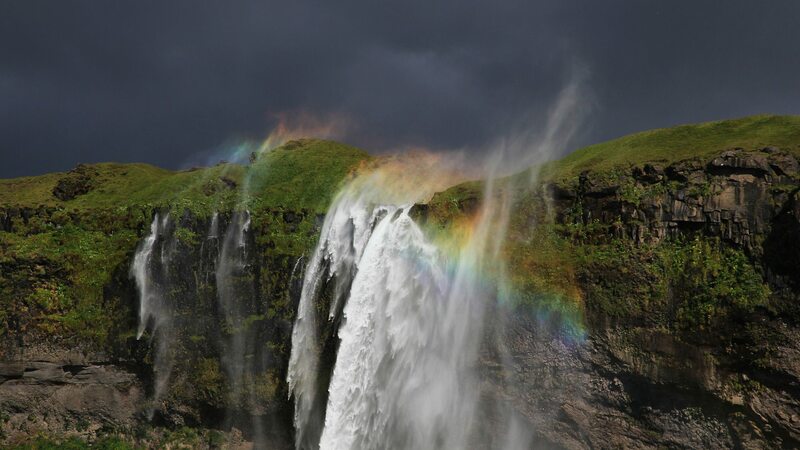 The Picture was taken in Iceland, it Shows the Seljalandfoss Waterfall at stormy conditions. Canon EOS 60D with EF-S 15-85mm, 1/250 Sek. Seljalandsfoss is one of the best known waterfalls in Iceland. Seljalandsfoss is situated between Selfoss and Skógafoss, where Route 1 (the Ring Road) meets the track going to Þórsmörk. This waterfall of the river Seljalandsá drops 60 metres (200 ft) over the cliffs of the former coastline. It is possible to walk behind the waterfall. It was a waypoint during the first leg of The Amazing Race 6.